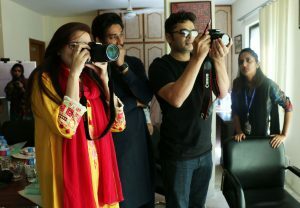 The training was focused on skills required for storytelling with images, elements of a story, video making and editing. 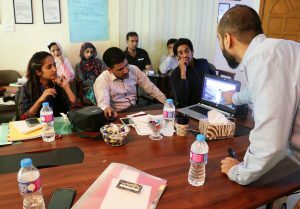 The workshop built participant’s skills on how to create a balance between creativity and practical skills, while providing guidance through the use of manuals and technological tools. During an interactive session, participants talked about how to convey messages in a simple yet impactful manner, people are turning to visuals now! Community World Service Asia held a seven day residential training, on the use of Visual Communications Tools in Development Organizations in Islamabad. 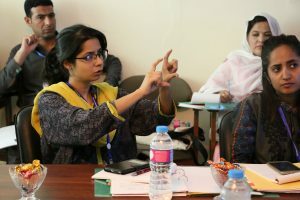 Eighteen participants from individual media groups and six humanitarian and development organizations took part in this interactive workshop. 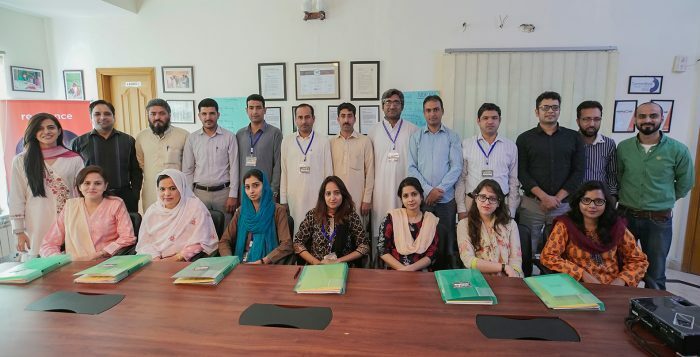 The aim of the training was to provide knowledge and essential technical skills for transforming development related messages (educational, behavior change or advocacy and campaigning) into visual language. 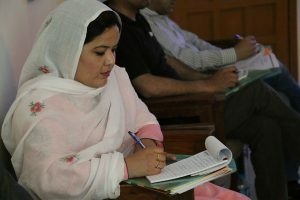 This training also reflected on the ways on when and how to apply them.